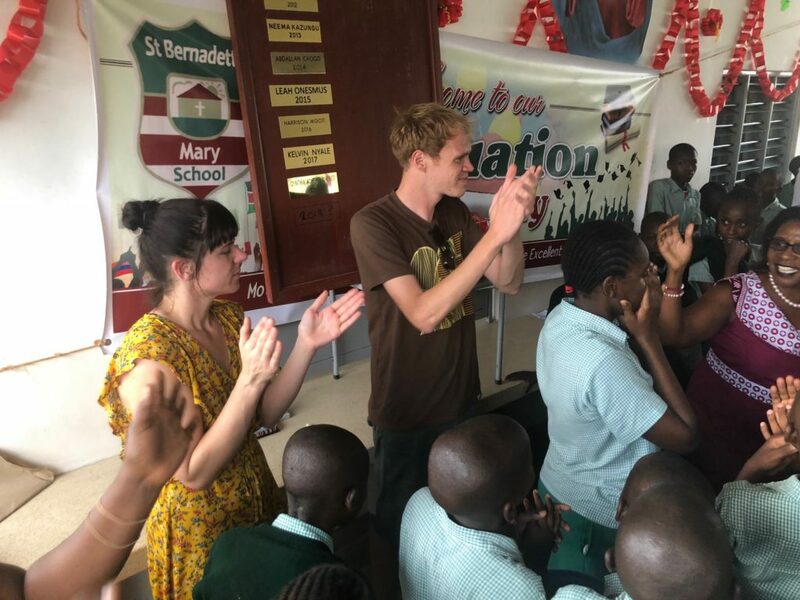 The final day of the school year is always a happy occasion at St Bernadette Mary School, a celebration of the achievement of the year and also a time of reflection especially for our Standard 8 pupils who are leaving the security of the oasis where they have been studying. 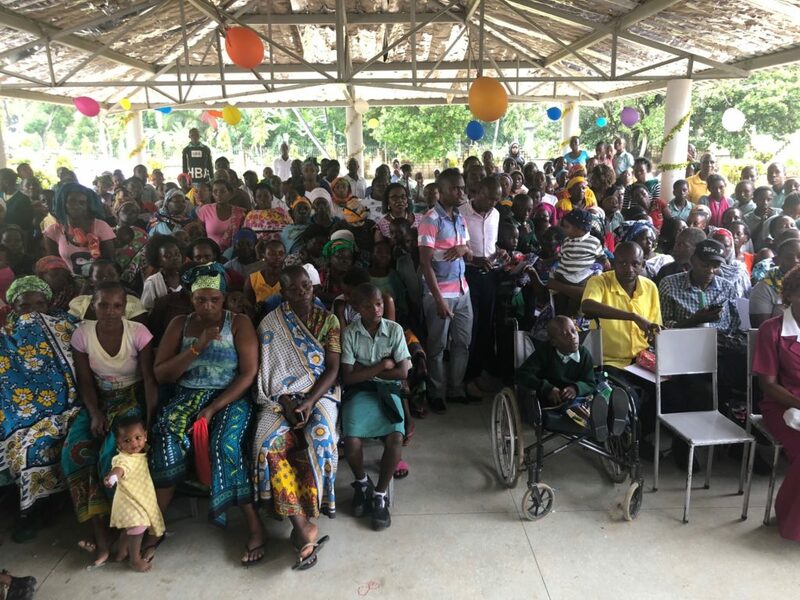 A large group of parents had gathered to join in with the festivities at the school which started with a thanksgiving Mass and a blessing for our Standard 8 pupils who were sitting their K.C.P.E. Examinations the following week. A full day of activities followed the mass including some wonderful singing, dancing and poetry from all the classes. 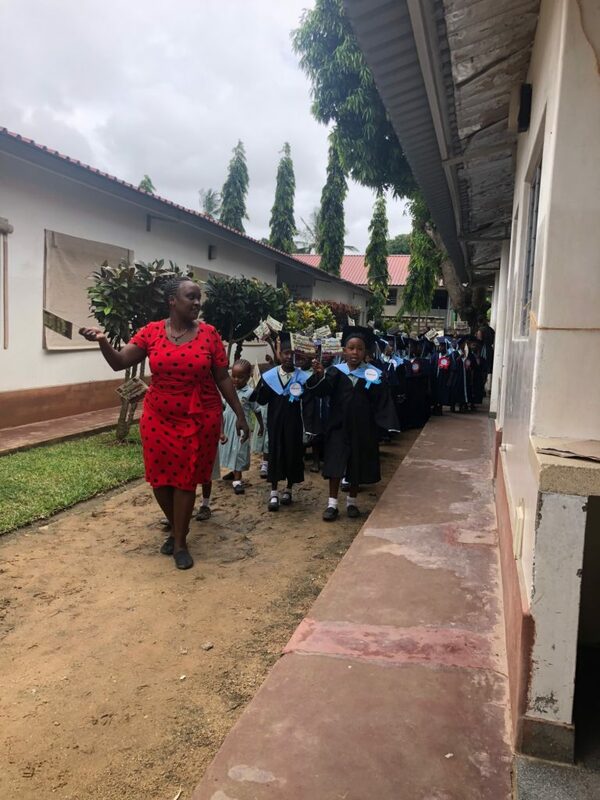 Madam Paula led her PP2 class who were graduating into Grade 1 in 2018 including Michelle from The GLO who against all odds had made this amazing achievement. The parents of the children graduating were so happy & proud of their children and due to changes in the Kenyan Schools in early 2018 over 60 pupils graduated. The atmosphere in the school was electric as we waited patiently for the unveiling of our Spirit of SBM School Award, this award is sponsored by Eileen Fray and as always is the highlight of the last day of the academic year. This pupils is chosen by the teachers as being a good role model and embracing the ethos of our school. 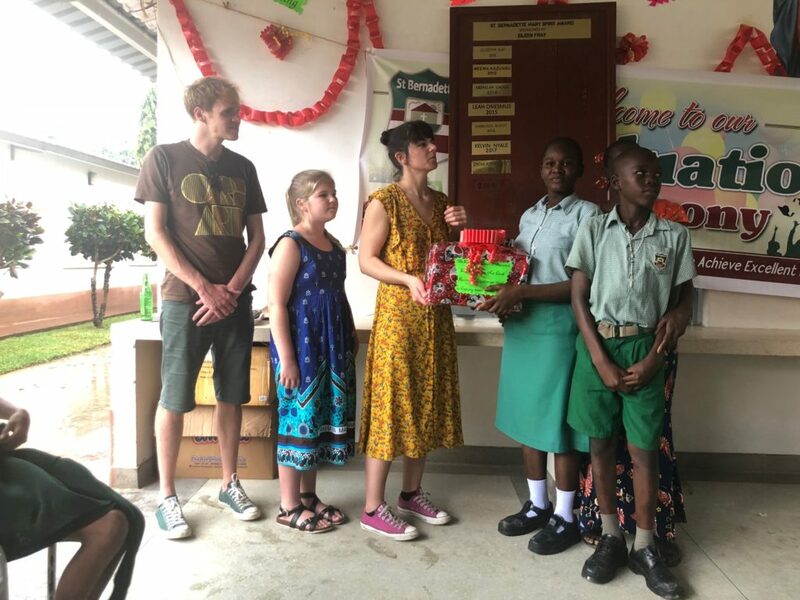 2018 did not disappoint as Cynthia Chabetty one of our GLO children was chosen to receive The Spirit of SBM School Award, the Mamas & Aunties from the orphanage all cheered and danced once Claire and Tom removed the paper revealing the winner. Chabetty was shocked and cried before showing everyone her prizes including a school bag, books, stationary and 10,000kes which will be put in a bank account for her as she will be heading to high school in January 2019. She was so grateful and as she hugged her brother Brian who is also at The GLO we knew she was a worthy recipient of the award. 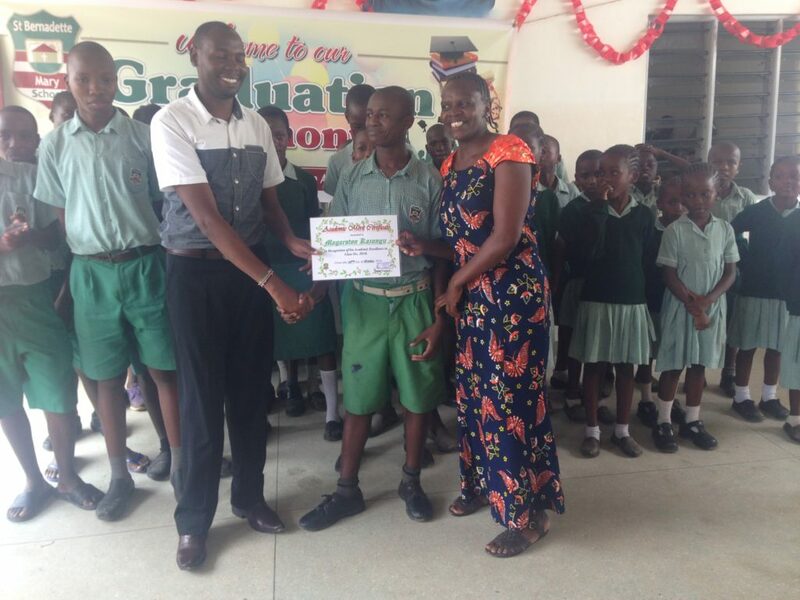 Other children from The GLO also performed very well throughout the school year including Magastone who was 1st position in Class 6. As we now prepare for the re-opening of St Bernadette Mary School in early January it is very plain to see just what a positive impact the school is having not just on The GLO but the surrounding area, children who could only dream of receiving a good education are now along the top performers in Kilifi County. 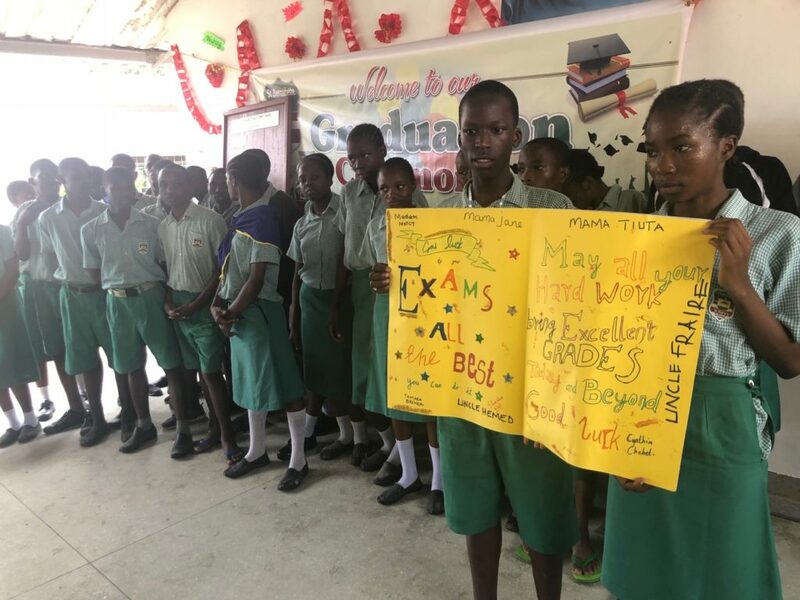 Many of the expensive private schools in the area are looking to SBM School in awe as it continues to go from strength to strength. 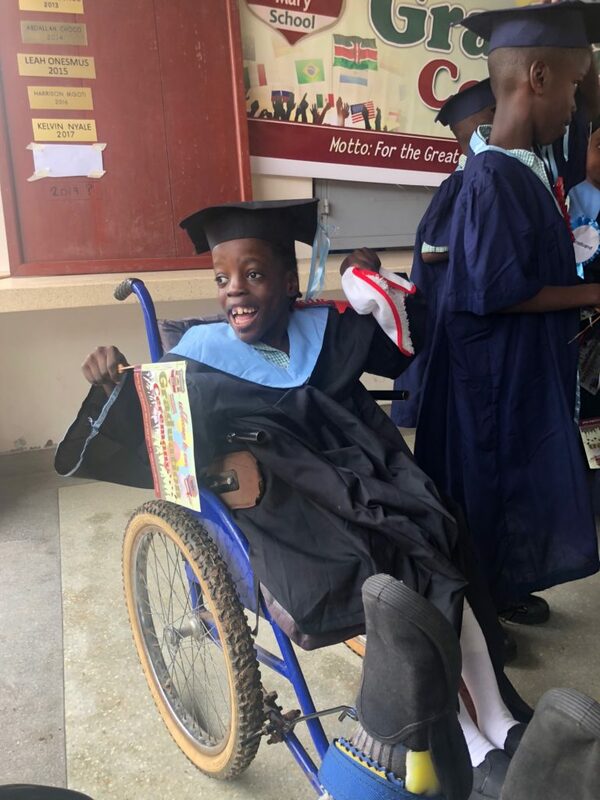 We thank all our dedicated staff, our enthusiastic pupils and our donor family for making our school a happy and successful place to be part of and hopefully 2019 will be another year where we see progress and development within the project.